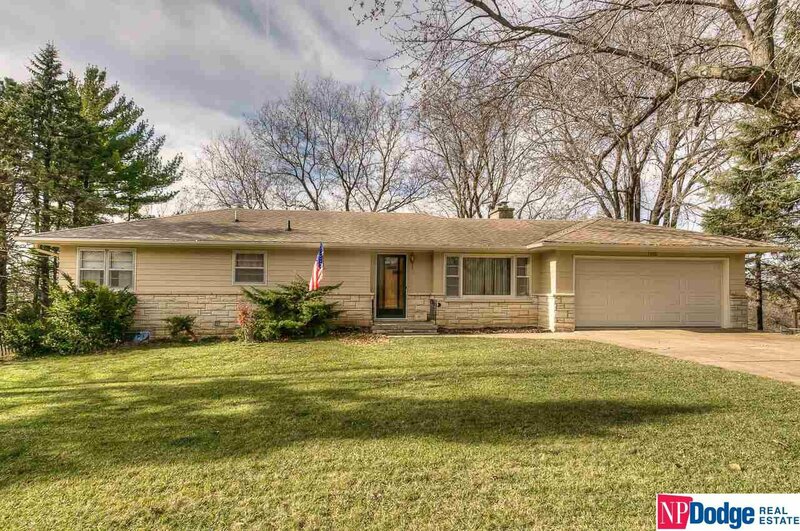 Incredibly rare 4-BR, 2 fireplace, Mid century walkout ranch w/ more than 1 acre on Bellevue's idyllic Boulevard. Heated 2-car garage & 2nd 2-story detached garage that can hold up to 8 cars and/or 4-5 more "big toys" in the LL. Could have huge shop. Potential to keep 2 horses on graceful sloping treed lot. Gorgeous nature vistas & wildlife. 15 mins from downtown and easy access to freeway. Separate unfinished apartment. This has it all! 2-10 home warranty provided. Listing courtesy of NP Dodge RE Sales Inc 108Dodge. Selling Office: Century 21 Century Real Estate.